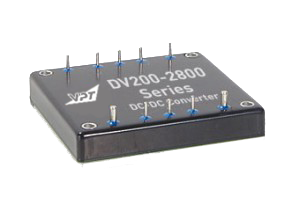 DV200-270D DC-DC Converter | VPT, Inc. Built from the ground up in a military-qualified facility for true military applications, the DV200-270 incorporates the rugged design, wide temperature ranges, and wide input voltage parameters that are essential in military applications. (2) Derate linearly to 0 at 110°C.